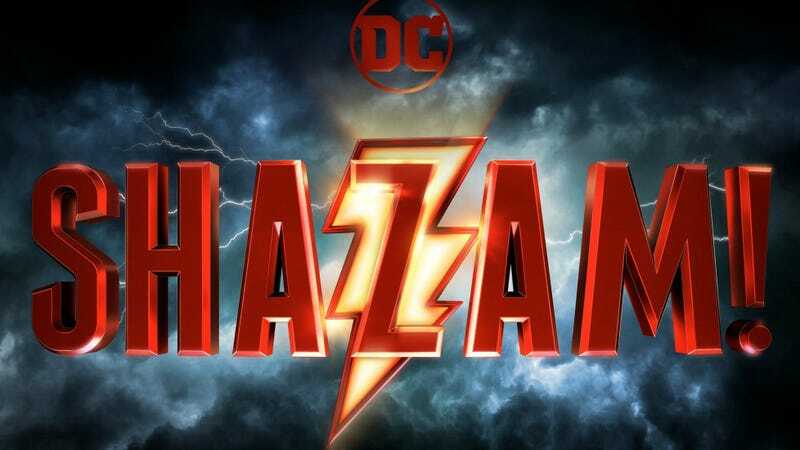 Warner Bros. has yet to release an official image of Zachary Levi as Shazam in Shazam!, but that didn’t stop the actor from giving fans a glimpse on his Instagram. The star found an ad of himself in the costume at a licensing show in Las Vegas and put it online. It’s not just the best look yet at the actor in costume—it’s technically also the first official image we’ve seen. Between the cape, the texture, the wrist wraps, and the light-up lightning bolt, there’s a lot to digest in the image. It should be interesting to see how fans react, and if this means we’ll get an even better image, hopefully from the set, in the coming days. There’s also the fact he’s drinking a very large soft drink, which makes sense since early footage showed Shazam hanging out in a convenience store. Of course, Levi plays the adult version of Billy Batson, a young boy who finds himself with the ability to turn himself into a superhero just by saying the world “Shazam!” Directed by David F. Sandberg, it’s the latest film in the DC Expanded Universe and is scheduled for release on April 5, 2019. Mark Strong Wants DC Redemption With His Electric Role in Shazam!